The government’s crackdown on the live export industry has been pushed back, as animal welfare experts decry the latest decision. The government has extended by a year the time it is giving exporters with old ships to continue with sub-standard conditions for sheep carried to the Middle East. Exporters were to be provided with a grace period for these ships only until January 1 2019, under a decision made when the government approved in May tougher standards for the industry. Previously the date had been 2023. But in the past two or three weeks the government accepted the claim put to Agriculture Minister David Littleproud by some in the trade that the new deadline was too ambitious. It has now changed the date to January 1 2020. The grandfathered arrangements “allow vessels constructed or converted before May 2004 to meet a lower minimum air speed across livestock pens, carry livestock in two tiers, or meet lower ventilation requirements on open decks”. One of the ships involved is Al Shuwaikh, operated by Kuwait Livestock Transport and Trading (KLTT). Last week the West Australian reported that “KLTT, Australia’s biggest live sheep customer, told Mr Littleproud during recent meetings that the Al Shuwaikh had a proud animal welfare record, and bringing forward the phase-out of two-tiered vessels only gave exporters six months to find alternative capacity, which was not enough time.” In contrast, the exporter Wellard backed the 2019 date. The longer grace period will further fuel the controversy over the trade, which is causing division within the Liberal party, with former health minister Susan Ley promoting her private member’s bill to phase it out. Last week the government deferred its legislation to toughen conditions governing the exports, because Ley was set to cross the floor on a planned Labor amendment which mirrored her bill. The row over the trade has been raging since graphic footage was shown on television earlier this year of appalling conditions aboard the Awassi Express, operated by Emanuel Exports. Some 2400 sheep died during the voyage in the northern summer of last year. Asked about the altered date, a spokesman for Agriculture Minister David Littleproud said: “The aim of the change is to create incentive to improve ships, or else phase them out. The Agriculture department retrospectively altered its response, posted on its website, to the McCarthy inquiry into the summer trade to reflect the new 2020 date for ending the grandfathering. The department told The Conversation it made the alteration to 2020 “on its own accord to reflect the correct date of the phase out,” and had published a short statement on its website to notify people of the change. Sources said the Agriculture department was critical of AMSA – which comes under the Infrastructure department and regulates shipping standards – for not putting a sunset clause on old ships in earlier years. The McCarthy review did not cover the question of when the grandfathering should end. While the government said it accepted all 23 recommendations of the McCarthy review it sent one crucial recommendation – to bring in a new heat stress assessment model, based on animal welfare rather than mortality – off for further work. McCarthy recommended the new model should be operating for this northern summer or at a minimum by July 1 this year. 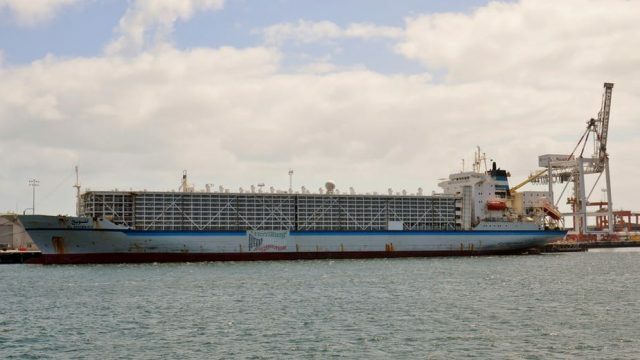 Lyn White, director of strategy at Animals Australia, said the delay until 2020 in ending grandfathering “allows older ships with deficient ventilation to carry sheep over two more northern summers despite the known animal welfare repercussions. “We have heard a lot of rhetoric from the Prime Minister and Minister about the importance the government places on animal welfare. Yet at every turn, we see the major reforms needed to give sheep the most basic protections prevented,” White said. Michelle Grattan is one of Australia's most respected political journalists. She has been a member of the Canberra parliamentary press gallery for more than 40 years, during which time she has covered all the most significant stories in Australian politics. As a former editor of The Canberra Times, Michelle Grattan was also the first female editor of an Australian daily newspaper. She has been with the Australian Financial Review, The Sydney Morning Herald and Political Editor of The Age since 2004. Michelle currently has a dual role with an academic position at the University of Canberra and as Associate Editor (Politics) and Chief Political Correspondent at The Conversation.